In this latest CD, the trio continues to explore and expand on the themes they developed on “Bye Bye Route 66”. In other words, the influence of Beat literature on contemporary sensibility and language. Produced by Peter Gallway and Tom Dean for Dev Records. “Bye Bye Route 66” brought the band international attention with the singles “If You Could See Me Now ” and “Bye Bye Route 66”. Featuring guest artists such as Steven Stills (guitar) Anthony Jackson (bass guitar) and Dan Huff (guitar) this CD shows a more rock oriented side to the band while still featuring the one thing Devonsquare is most popular for, the songs, and the voices that sing them. This CD caught the ear of Atlantic Records CEO Ahmet Ertegun and he signed the band in 1988 on the strength of this recording. This CD was a turning point for the band, with it’s spare yet haunting production. 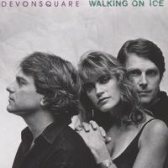 Walking On Ice became a staple of folk and adult contemporary radio and still receives airplay worldwide. This CD contains the first 2 Devonsquare records on one CD. These albums were released in 1984/85 and contain such songs as Donner Pass, Face In The Mirror, Velvet Elvis and Night Sail. 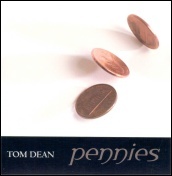 This long awaited 2nd solo release “Pennies” is the first in five years by Devonsquare’s own singer-songwriter and producer Tom Dean. 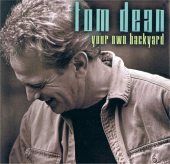 Tom once again has used a stellar group of musicians on this project such as Shawn Pelton on drums (Shawn Colvin) Kevin Barry on guitar (Paula Cole) Michael Visceglia on bass (Suzanne Vega) Tom Yoder on fiddle & mandolin and Joyce Andersen on violin and backing vocals and Don Campbell on banjo and vocals to name a few. First solo release by Devonsquare’s singer, songwriter and producer.